Hello modelers, we are excited about some new technology we found! We are able to take airplanes we've drawn in our CAD software and share them to you in easy to use 3D PDF files. You can spin them around, zoom in and out, hide/show parts, change background colors, etc ... very fun to play with. 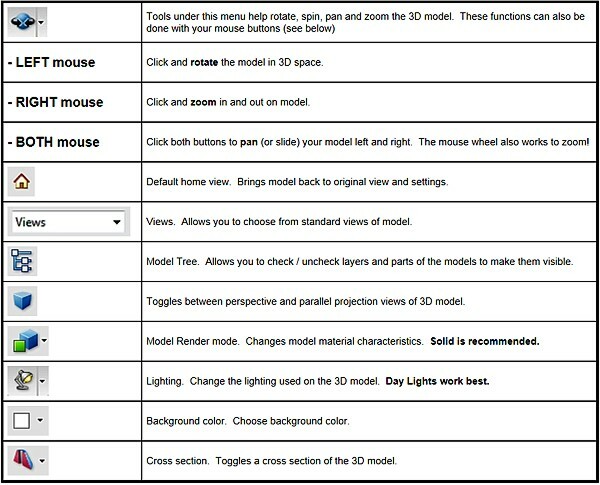 Above is a sample file and below we have provided detailed instructions on using these new 3D files.